The essentials for your Discovering Christ course at a 10% discount. The kit includes: the DVD set, the Team Training Resource, the How to Run the Course Guide, the Facilitator’s Guide, the Participant’s Guide, and the book Discover Christ. The Complete Kit includes the Printing License. 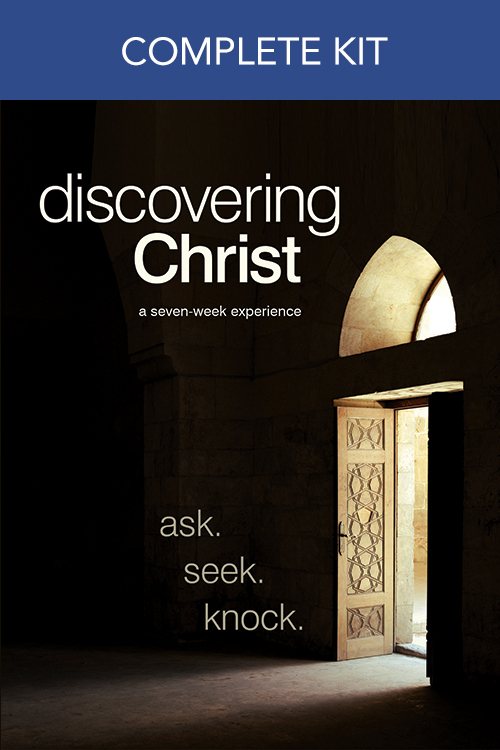 With the Complete Kit, you have everything you need to run the Discovering Christ course start to finish. With the Printing License included, there is no need to buy any more guides from us, simply print off the number of Facilitator Guides and Participant Guides your course requires.